Will your choices matter? No. Will you have to make a choice that gets a squad member killed? (The first Mass Effect had this years ago) The answer, no. Will upgrading your keep and weapons make a difference in the story outcome? 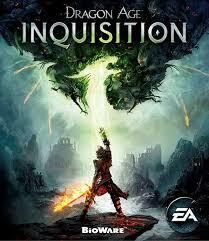 (Dragon Age: O+A had this) The answer, no. Do you get to say "mages" or "templars" again? Yes! Does this choice really have that big of an impact on anything? No. In all regards we have less of what we had before, this is not 'next gen' in the slightest. Combat? Honestly the worst of the series, anyone who tells you otherwise had to be playing as a mage or archer because the targeting system for your button mashing good time is garbage, you will be swinging at nothing all the time. Tactical? Zero, so Dragon Age: O fans should be let down. But did it at least succeed at being a good button mashing good time? Nope, unless you went ranged and never switched to any other champion for any other reason (which frankly the game is designed to have you play one champ and ignore the others, only you can close/disrupt the rifts and your champ will not do that automatically so you are stuck on that one champion the whole game) so fans of Dragon Age II will be upset. Equipment has been nerfed, again. No more boots/gloves to equip. Stats? Cannot touch them. Player affection ratings? No idea, they say people approve and do not approve but no place to even see this. Quests with multiple ways to solve with different outcomes? (thinking arl emon in DAO) Nope! 90% of all quests are MMO style, fetch X of Y (and they have 80+ hours of these), and the other 10% are story line kill X because of Y. Once again less of everything. And pc users? Read other reviews if you want more details, but simply put this game was designed for consoles and a controller, if you attempted to play mouse and keyboard you were left with an unplayable game. But what about open world? They did promise that didn’t they? Not in game. Large independent areas that are all boxed in with cliffs and water that will spawn you back if you try to explore or slide you back down if you try to climb. One again more of the same old, it is just larger boxes connected with paths surrounded by invisible walls (mostly small 5 ft hills which will cause you to slide helplessly back down and water which will spawn you back at shore even if it is only 4 ft deep, but even trying to climb DOWN small mountain and they will just spawn you back at the top…), this is not open world in the slightest. There is nothing redeeming about this game play in the slightest for those wanting real RPG gameplay. This does not play like a typical button masher. Typical button mashers or spamming games have you crushing loads of enemies at a time, typically very over the top. Diabo II, 99 Nights, Dynasty Warriors, Dragon Age II and a slew of other games use this and it (when done right) can be very fun. Dragon Age Inquisition however typically pits your team of four vs at most a team of four, and they can’t move from their areas, meaning this- you take on groups of four at a time and if you ever ‘get in over your head’ you can just run backwards (or away) a few feet and the enemies will run back to their ‘areas’. Typical battles consist of you taking out the three weaker enemies and then just spamming attack and using your few abilities when they are off cooldown until the last hp sponge finally dies. ‘Epic Dragon Fights’ consist of you doing just that, standing around hacking at a dragons foot for a half an hour drinking potions when wounded until dragon is dead- if dragon is too difficult go grind out a half dozen more levels on spawning enemy pits (using the exact same tactics as above; standing around hacking at groups until they are dead) and then go back and kill dragon. It isn’t about changing tactics as much as it is about your level; meaning smart players can’t just go kill a difficult creature early on using smart tactics, they need to grind first. The game is also played like a very typical MMO. If you like that style of gameplay- decisions really do not matter, you basically do things alone/small squad, you can equip some gear but it isn’t really a huge part of the game, stats take care of themselves, you only can hot key like 8 abilities, quests that consists of gather x of y and find all the different locations on each map while setting up camps along the way- in short if don’t care about the ‘whys’ and things don’t need to even make sense in a game, just allow for hours and hours and hours of the grind this game has it in abundance. Bottom line is that if you only like one of following: 1. spamming combat (and lots of it) that doesn’t require thinking and/or tactics but just grinding out levels and auto attacks, or 2. MMO style quests and gameplay (all around), you will find that you will enjoy about half of the gameplay as it is impossible to ignore the other as they are both so deeply rooted in this game. Read above point, bottom line is that basically if you enjoy both MMO style gameplay with huge amounts of auto attacks and grind than you will love this game play. You will also get hours and hours and hours out of a single title. No one can argue the fact that to complete this game you will possible put in 100+ hours in a single playthrough. The quality of the time is displayed above, but length itself is substantial. Some “search missions” in the game make you wait anywhere from 1-20 realtime hours before they are completed… Yeah, amazing game design… Regardless, as far as time you could sink into this it is as much as your brain can handle, and so the cost/length is as good as you will ever get in a $50+ game. There are entire forums flooded with this topic so I won’t waste my breath saying what everyone knows; the controls on the pc are literally unplayable. If you have a PC and want to play this you HAVE to get a XBOX One controller and go from there as there are horror stories of people even trying the 360 controllers. Basically you might want to play the game but can’t, simple as that. Console game 100% that was last minute ported to the PC, as obvious as you can possibly get. These were not great either (the tactical cam is terrible to say the least) but at least are playable. You will find the lack of quick bar’d abilities a shame as well as some other odds and ends (such as mounting and riding animals, the same button to pick up stuff happens to be the button to jump so you will be jumping a lot over top of chests, etc etc) but overall not the worst thing to hit gaming shelves. I run a top end system and to play this game on highest specs you will also. It also happens to be one of the only games I own that crashes to desktop often, fails to save, files get corrupted, and plays laggy (sometimes even on the Bioware logo when the game loads) at certain locations. Basically if you are running minimum specs you will be running game lowest graphical output and you will still be having issues. The game is not weeded out well, it takes all the juice you can muster (RAM leaks!) and produces very little as far as graphics are concerned. There doesn’t seem to be any ‘game breaking’ glitches and the game itself seems to play fine (great as far as a release is concerned- some games take months before they are playable AFTER launch) but as far as a pc is concerned your pc will have problems running it until they fix all the RAM/crashing issues. Heard some of the same things happening on consoles but not nearly to the same extent; since the game was clearly made for consoles and was ported to PC and it is having less issues on said consoles you can assume that these problems will be filtered through faster and with more diligence. Because of that you will find the console versions to be much more stable in running the game and keeping it running than the pc counterparts. The graphics and world? Old. As people have said across the board, the hair textures should just make you sad. The world? Large and empty, so, so, so very empty. You will find yourself running through a large (and by large I mean LARGE) field and it will have maybe one rock and some grass you can harvest and if you are lucky a single bear or a group of four undead and maybe a couple flowers to pick. The game also suffers greatly, and by greatly I mean GREATLY from strobe lighting effects; meaning pieces of clothing and items in cut scenes will flicker like they are being hit with a strobe light. Are the graphics the worst thing I have seen? No… But are they great, or even ‘next gen’ in the slightest? No… Even Oblivion with a couple mods could put this monster to shame, let alone Skyrim’s graphics- and they require far less from your system. Now this kills me to say but it is the absolute truth; the story is why critics are giving it 10/10 simple as that, and no one has the balls to stand up and say why- but I will. The story makes no sense, your nostalgia kicks in and you overlook countless things as the game continues until finally you say 'enough is enough' and just work backwards destroying the story as you go. Without spoilers I will give an example (as this is information anyone can know reading the box)- you walk/fall from an oblivion gate, errr, rift and are somehow taken from the very top of the mountain, past the forward base, to the very bottom of the mountain from where you will, errr, go back up the mountain through passes that are filled with demon hordes... The story is nonsensical, and doesn't get any better- so why are critics giving it such high regards? Because you can have homosexual relations with pretty much anyone in the game- including a giant qunari named 'Iron Bull'- regardless of how ridiculous or nonsensical it makes the entire story feel. This game is so chalk full of political and homosexual indoctrination that you barely feel like you are the world of Dragon Age, it feels like you are walking the streets of Hunger Games with the backdrop being a very weak version of Oblivion (TESIV)(An entire companion quest line involves the hero telling this companion’s parents that they are monsters for not accepting his homosexuality). You want to know why EAWare compared this game to Skyrim so much? To keep people focused on that and not on Oblivion, because they clearly stole the story from it and dwarfed it. If wrapping up homosexual rights and political viewpoints into an indoctrination filled puke fest is not what you think 'next gen story telling' should be, well then, may God have mercy on your soul because you my friend are a MONSTER... Dragon Age I-II were better in this regard hands down, letting you experience a world with varying view points but not having things thrown in your face and allowing you see the cons and pros of multiple sides. This plays like a Bioshock Infinite game, where you kill ‘founders’ the entire game, a game that just bled 10/10 reviews solely because of that reason. Pushing your political views into a game and getting critics to give you 10/10 on the entire game solely because they are too damn scared to be labelled a ‘homophobe’ or anything else equally as ridiculous, is just that, ridiculous. Just because they review a game with a story that’s based solely around ‘gay rights’ and find it to be a pathetic attempt to pander to the lowest common denominator and put that in their review does not make them ‘haters’. Bottom line is that this story line is the weakest I’ve seen in an AAA in years, possibly ever, if you are even slightly conservative and need things to make sense. As said above, I won’t obviously give spoilers but this game is chalk full, I repeat, chalk full or storyline failures. Things will not make sense, not in the slightest (dialogue is massively off the deep end). The world of Thedas is amazing though and has drawn in a large following, with books and visual arts aplenty, and it has a rich background from which to draw its lore from. Because of this you can overlook a lot of problems if you so choose, which brings me to the next group of people. You will go into the future at one point in the game and you will find your ‘spy master’ in the future. Now when you find her (keep in mind she is your SPY MASTER, she knows and understands the value of information more than ANYONE) you immediately ask her for information on what happened to create the current future (since obviously in the future things have transpired, things that happened and information could help you immeasurably when you go BACK in time) and your spy master replies ‘nothing that you need to know- I don’t want to talk about it’ (or something along those lines) from which you respond ‘we just want to know what happened because-“ she then cuts you off and says “No! You just want to fill silence because you think silence is awkward! I don’t want to talk about it!”. Now if you are the kind of person that goes “oh yeah, that totally makes sense, people do just like to fill silence… dum de dum de… ewww look, another mob to kill” then you will think the storyline in this game is the best thing you have ever heard, as there is so much lore, the world of Thedas in amazing, and they hold your hand and tell you what TO think the whole time. If you are however the kind of person that goes “why the hell would my spy master not just TELL me everything that she could possibly tell me because she KNOWS how valuable that information could be- and if she didn’t trust me why didn’t she just give me a message to bring back to the younger version of her that only she could understand?” then this game will piss you off from start to finish. The very next thing you do in the storyline after this is ‘try to stop an assassination by trying to figure out who the assassin is and if the assassination happens the world will be destroyed, yada yada yada” and yet your damn SPY MASTER didn’t think that information was important to bring BACK in time? “Oh and by the way, before you go, I’ve been meaning to tell you that someone will be killed and it is kinda a big deal, and the person who does the assassination is… nah, why tell you and ruin a perfectly good quest line involving you trying to figure out WHO the assassin is! That would be awesome right? !” Bottom line is that if this kinda thing bugs you and your story needs to make sense then you will hate this storyline as this happens over and over and over again; if however you really don’t care (ie. You love the Hunger Games books) than this storyline and world will deliver. Funniest part about the above example is that as soon as you get back to your time period the same spy master says the most important thing to do is figure out who will do the assassination… DERP! Are there anymore RPG’s in the SLIGHTEST on the market anymore? Not really… This might be the only thing really around; sure there are some odd balls (still love them, but still odd balls) like Divinity, and Pillars of Eternity, but the AAA goodness of a 3d world with companions and storyline? There really is nothing else comparable on the market (until Witcher 3 comes out) and this could be why the game is seeing the success that it is currently seeing. As soon as other games such as Witcher 3 come out people will do side by side comparisons and you will see the ‘unique thrill’ of this game decline greatly. What do you mean by this? When you pick up the game and when you put down the controller at the end of the day has anything changed? Have you honestly had to take out your shotgun to clear an apartment building of hostiles and then take out your sniper rifle on the roof to finish off the bad guys? Have you have to use magic on creatures that are immune to physical and then had to hide your wizards from creatures immune to magic? Have you had to use cavalry vs knights and samurai vs dragons to win the battles? (Dragon Force, oh how I love you…) This is evolving gameplay. If you start off mashing buttons and 100+ hours later are still mashing the same buttons in the same order in the same way that is not an evolving game. Evolving games hold us captive and make you smile when you win a fight because of something you did personally, not something the game made you do or even told you to; those are the games we talk about and make videos of to share with our friends. DA:I though? You make a video of gameplay within the first hours of playing the game and another video of the last hours you played the game they would be identical. How ‘epic’ is that? How can that even be considered ‘epic’ by anyone? No room for improvisation, no room for random events, nothing! In Skyrim you could be fighting a giant only to have spiders run in and mess things up and then a dragon could come in and kill them all; totally random, totally not planned, totally unique- you might be the only person to have EVER had that happen to them. This game? Not even the loot is random… You will get the same swords and axes in the same places every play through. This game is the very definition of a stagnant game. The music might be honestly ripped directly from TLOTR's movies, the ‘city sounds’ sound like they are duplicated exactly from NWN games (even if they are only two people you can see you will hear a bustling city) and the voice acting is a mixed bag of good, bad, and so very ugly. The bard’s music is a fantastic high point in the audio aspect of the world, amazing audio quality and completely unique to this world, but you never really get to hear it and it is once again a back drop; it is not like having a champion sing to you in your camp (DAO). There are times when your party is walking through the mountains and I am telling you, it is like they were making a game for people who never watched (or at least they believed the people who would be playing this game had never watched) a single Lord of the Rings movies; it is shameful and outright obvious what they were attempting to do. With stealing sound effects from LOTR (obviously not the exact Enya songs, but the same sound and desired effect) and some of their previous games, and the storyline from Oblivion one if left to wonder why it took so long to even put this game together. Regardless, if it wasn’t for the horrible voice acting (Varric and Cassandra amongst others were alright, the inquisitors voice and almost everything else is totally flat, emotionless, and uninspiring) and terrible dialogue this score might be higher as even though you don’t really get to experience the bard’s songs well, they were fantastic scores. Does this game push the boundaries of gaming in the slightest? No… It is a massive game full of hours and hours of MMO style quests. Many games have had this in the past, many games. Might and Magics have areas that are honestly larger and more unique (independently unique) than this game had, and those games (MM VI-VIII) came out years and years ago and actually has far, far… FAR more in them. MMO quests? Not in the slightest… Bottom line is that if you enjoyed this game you should go back and play Might and Magic VI-VIII or Mass Effect 1, actually far superior games. But the graphics are so much better! Yeah, yeah they are- but are they ‘next gen’? The answer is no, simple as that. The graphics in DA:I are not ground breaking in the slightest, some things graphically speaking are actually done far better in ME and MM games- the inventories and item management for one thing is not even comparable… If you have been in gaming as long as I have (at least 10+ years) there is nothing, I repeat NOTHING earth shattering in this game. You will be doing more but less of what you have done in countless other titles. If you think that pushing LGBT ideals, propaganda, and indoctrination into a video game is ‘progressive’ and that is basically your only requirement for ‘what you want to see in the future of gaming’ than this game is probably the best thing currently on the market. This game is by far the most progressive LGBT game I have ever played; if this is what you want in your games this is, like I said, the best thing currently on the market as far as video games. I set up an account on Metacritic to leave a smaller version of this review. Why you might ask? Because this could be the death of gaming as we know it if we have no critics we can trust anymore; Angry Joe on youtube was my go to guy until this game- there is no one left you can trust. Angry Joe gave games harsh scores based entirely off of the fact that they just were “more of the same old crap and not next-gen at all” but gave this game a 9/10? People, critics are selling out and/or selling themselves short and as such there is no one you can trust anymore- people even on metacritic are giving this game 0/10 and 10/10, just to even the playing field I suppose, but the truth is this game is horribly mediocre. This is an honest review of an over-hyped giant; taking into account what we have already seen in games that are 10+ years old and what we expect to get better as we move forward into the next gen.
S.O.C. Nothing new here, clearly a game that was going to be an MMO that they had to change last minute. This game is a shadow of the past glory of DA and most likely the final nail in the coffin for Bioware, as sad as that makes me to say I really believe this will be the end for them. After DAII and MEIII and now this? Trust will not be there anymore, they milked the fans for the last time, I do believe they have ALL gotten the message and left the building. Overall Value: 2/5 or under $20 value. Would not recommend buying this game unless it was under $20 and you like MMO grinding quests (as that is where you will find the most value for you dollar).